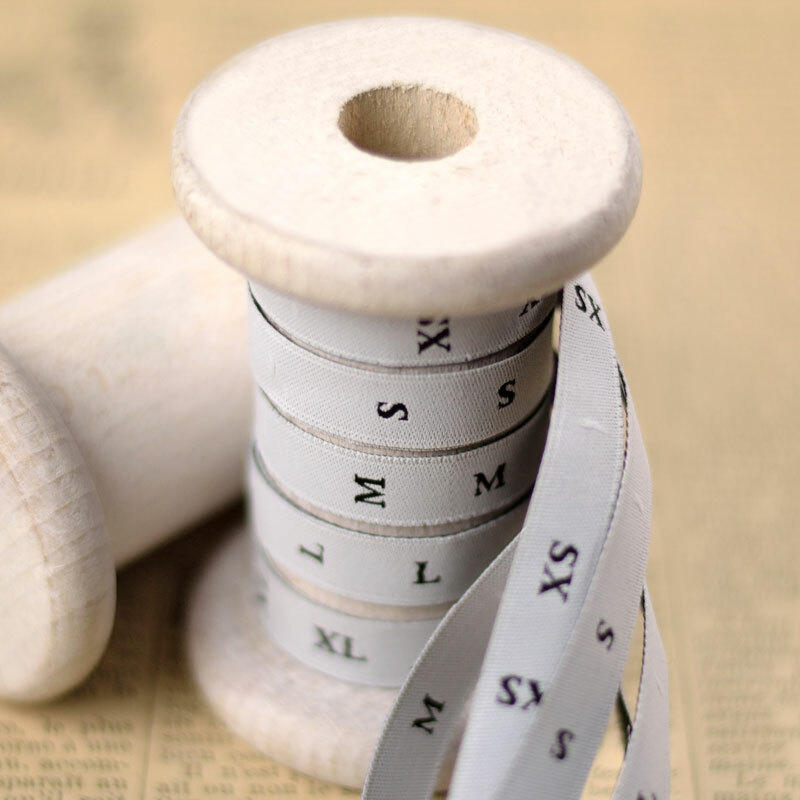 Size labels to mark hand-knitted or hand sewn clothes having great success, we have expanded the range. These labels to sew are always sold by the meter, from 1 meter. They are also handy for designers to beautifully mark their clothes. 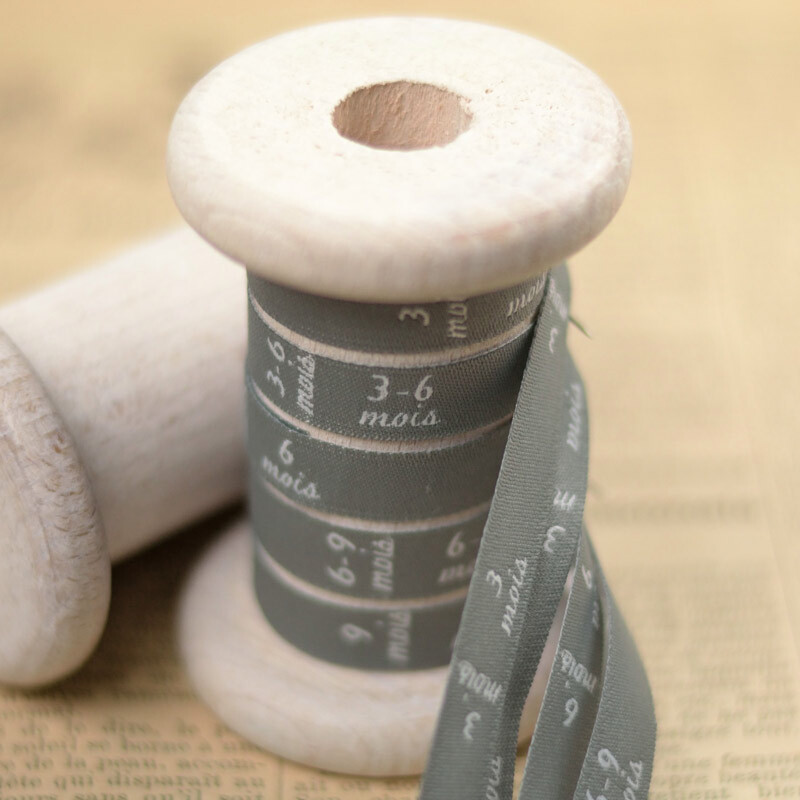 Here are our new size labels woven in gray or black. 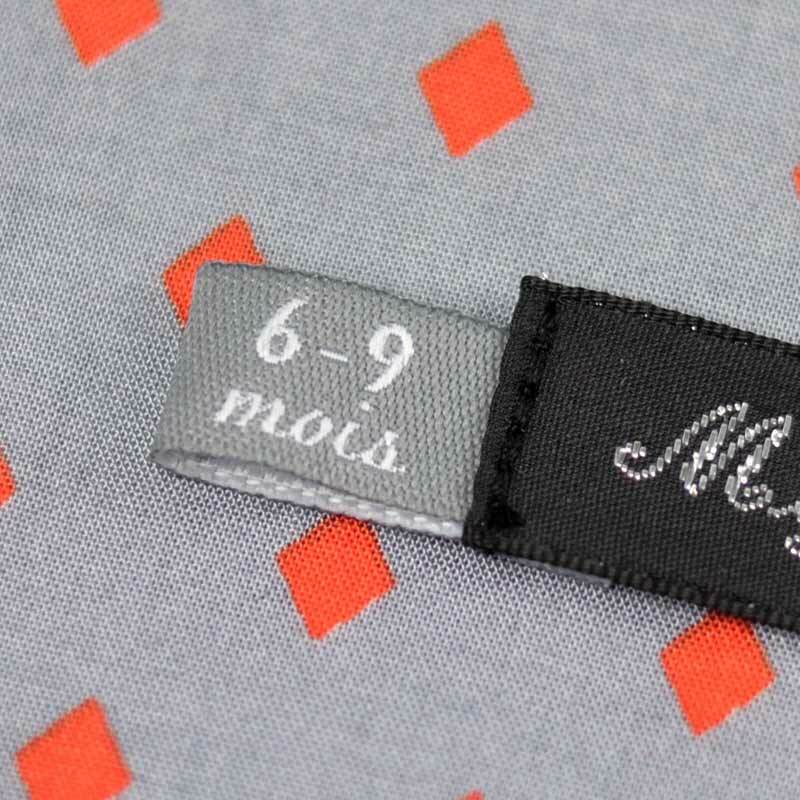 and size labels for babies 3 months, 3-6 months, 6 months, 6-9 months and 9 months. These labels are precisely designed with childlike font exclusively for A&A Patrons. You had asked us, we now offer marking double size for babies . The size labels numbered 34, 36, 38, 40 etc. will soon be also renewed with a choice of gray or black. 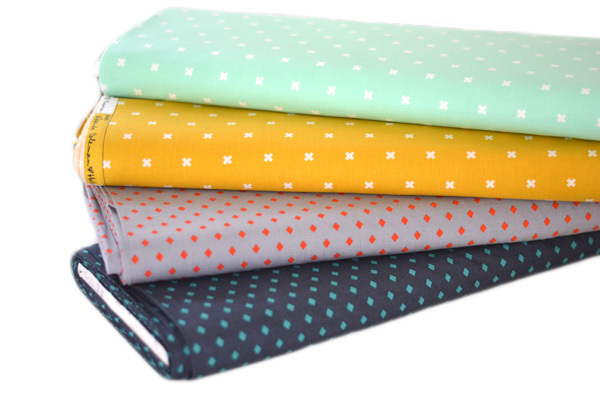 Cotton + Steel and Art Gallery new fabrics! 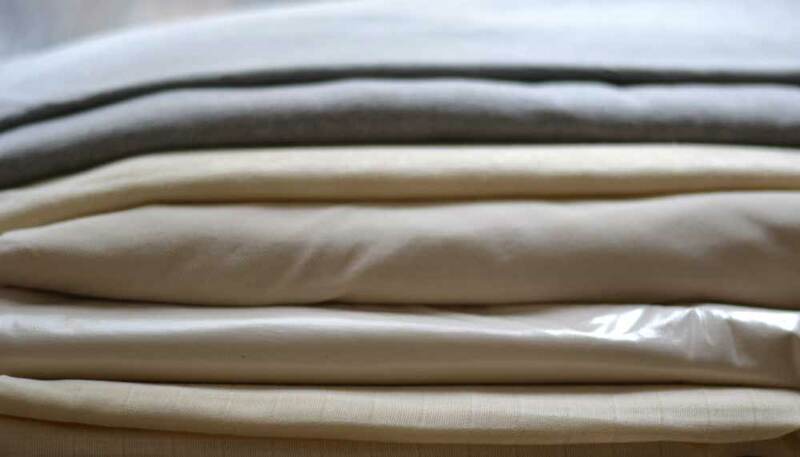 Something new concerning the fabrics! 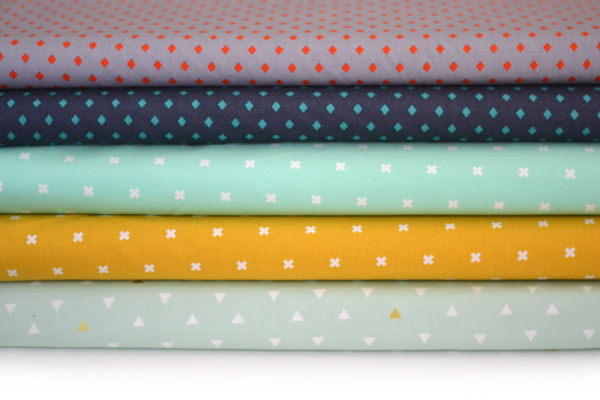 We just received the beautiful Cotton + Steel printed fabrics. 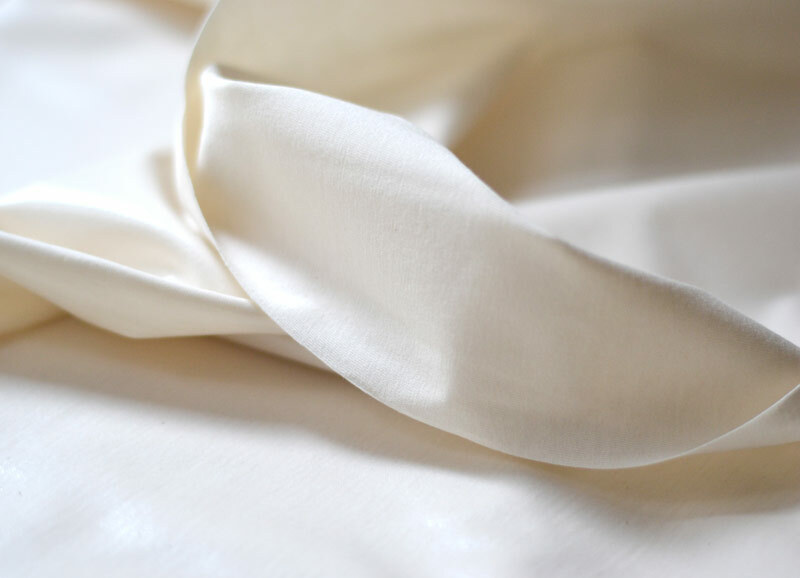 We could not resist to the beautiful well fitting from the Frock collection. 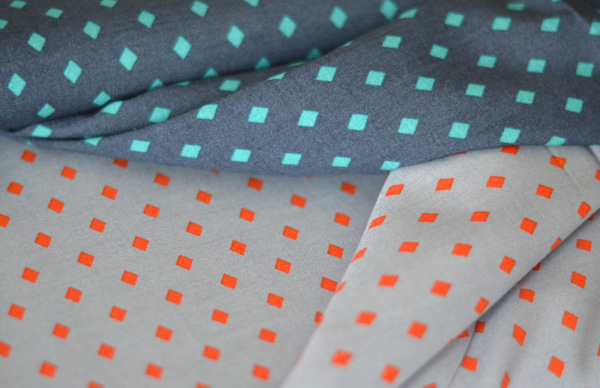 These are two rayon fabrics with small red or blue-green triangles. 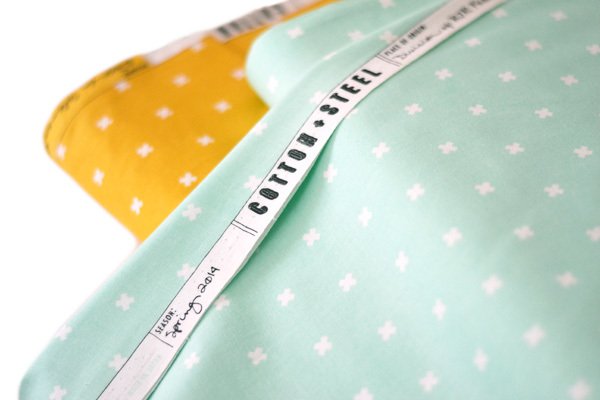 We also fell for small cross with yellow mustard and mint green backgrounds in the Cotton & Steel basics collection. 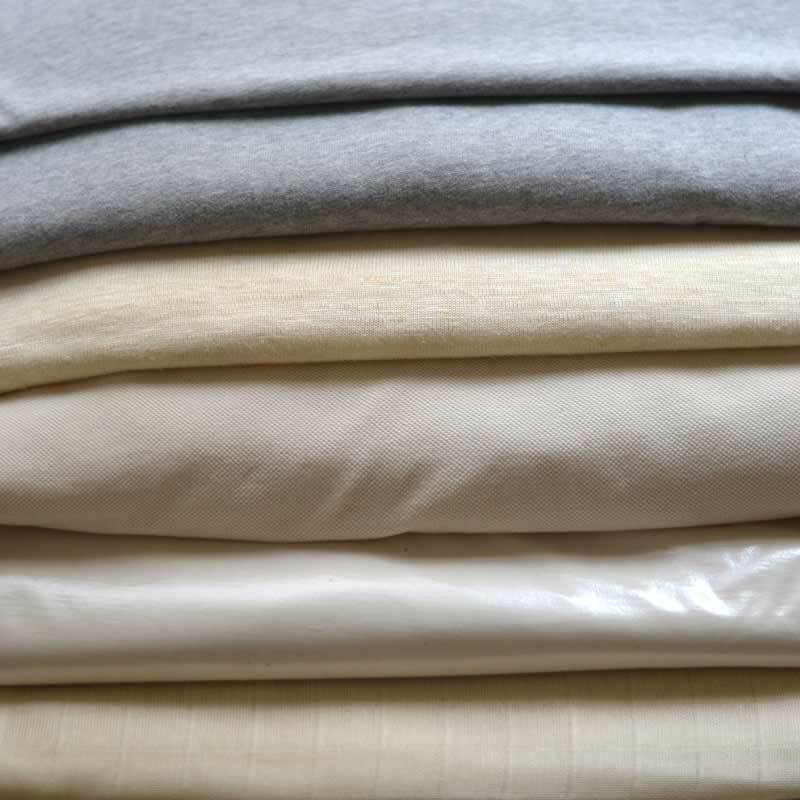 These are good qualities cottons. The colors range has a nice sweetness. 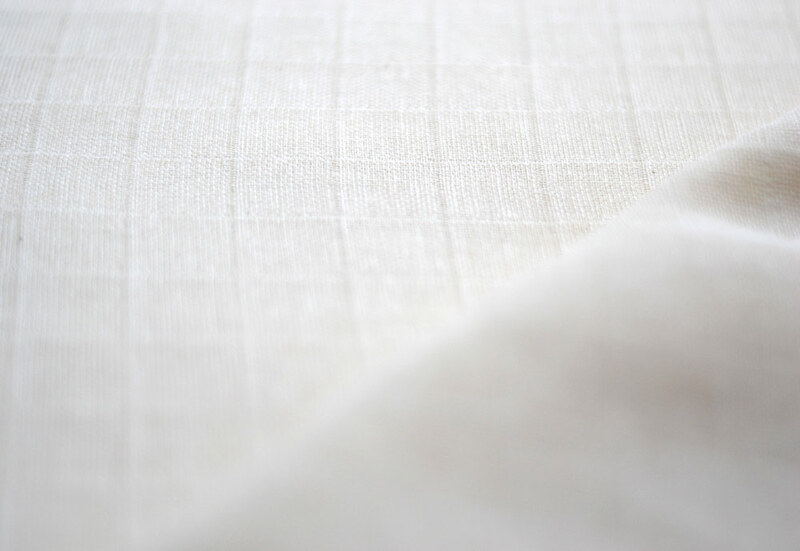 Mint green and white poplin with golden triangles you can see, it's a pretty fabric by Art Gallery, from the Arizona limited collection. Going with everything cotton fabric while being chic with these little golden triangles, it will delight your entire wardrobe! We are very happy to show you these little wonders, especially that ... shh, the rest is coming in the following months! We wanted to keep you informed of a pleasing novelty on deliveries: La Poste (the French shipping service) replaced since 1 January 2015 the Lettre Max by the Lettre Suivie! 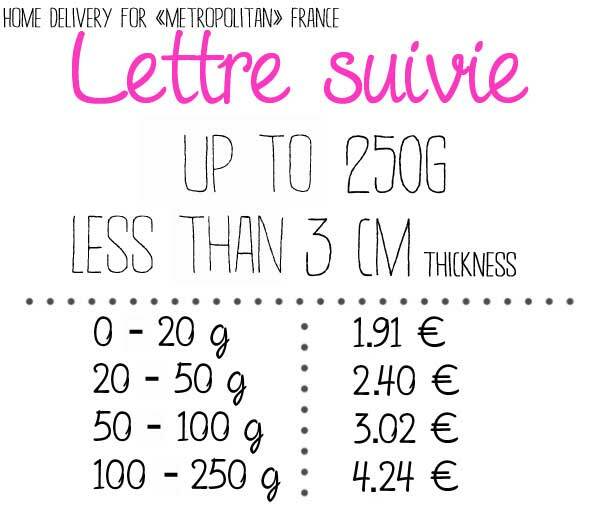 - The ability to send parcels up to 3 cm thick instead of 2 cm for Lettres Max. 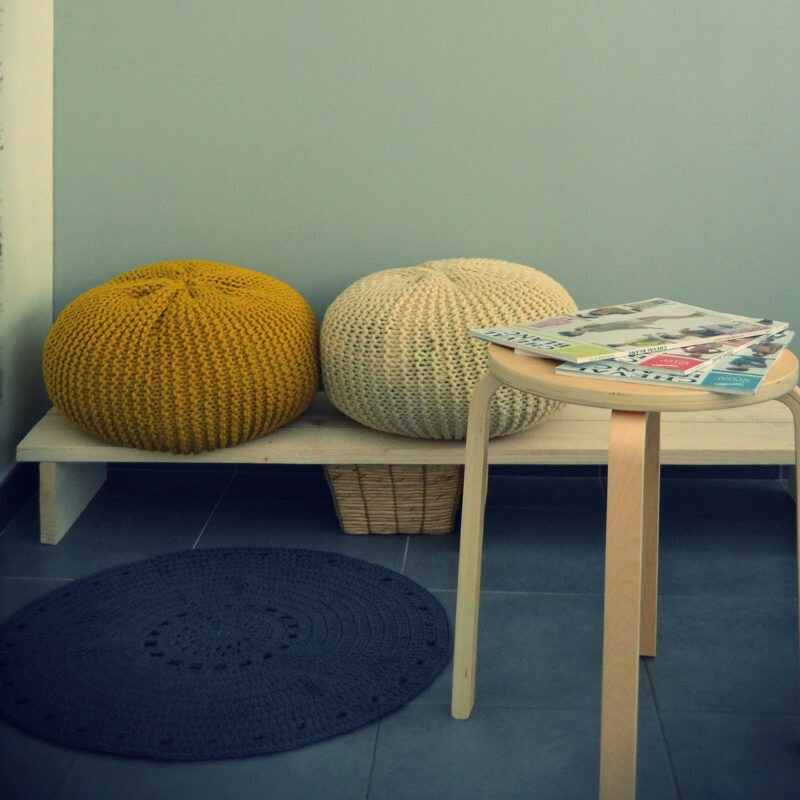 Since all our deliveries are determined according to weight, the difference will be really noticeable for you. Online tracking remains the same, once the order is placed, you will have the link to follow on the La Poste website. 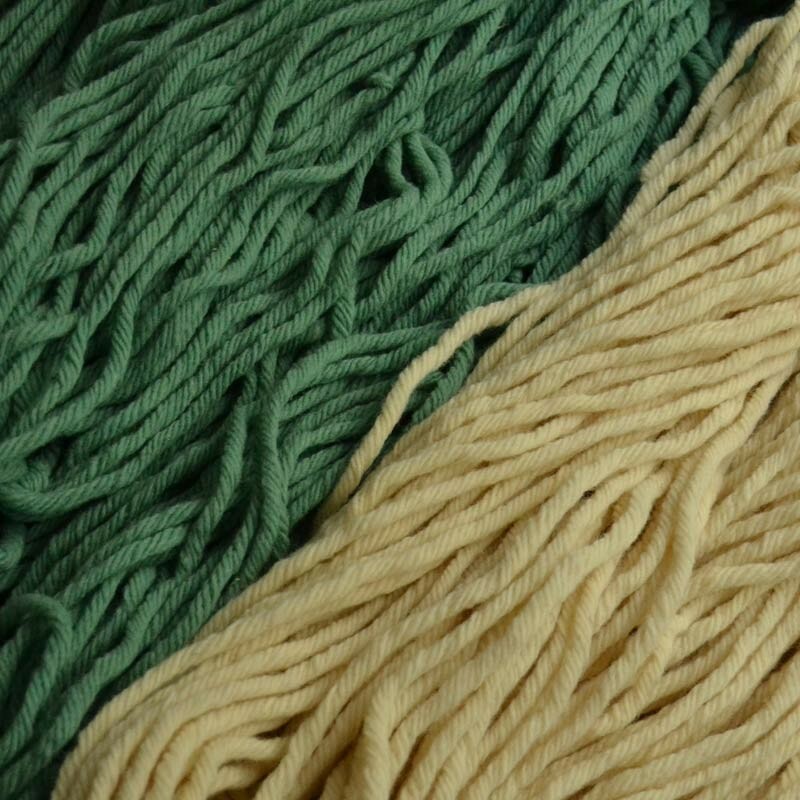 From our side, we can now offer you products shipped by Lettre Suivie like some wool that did not pass by Lettre Max! 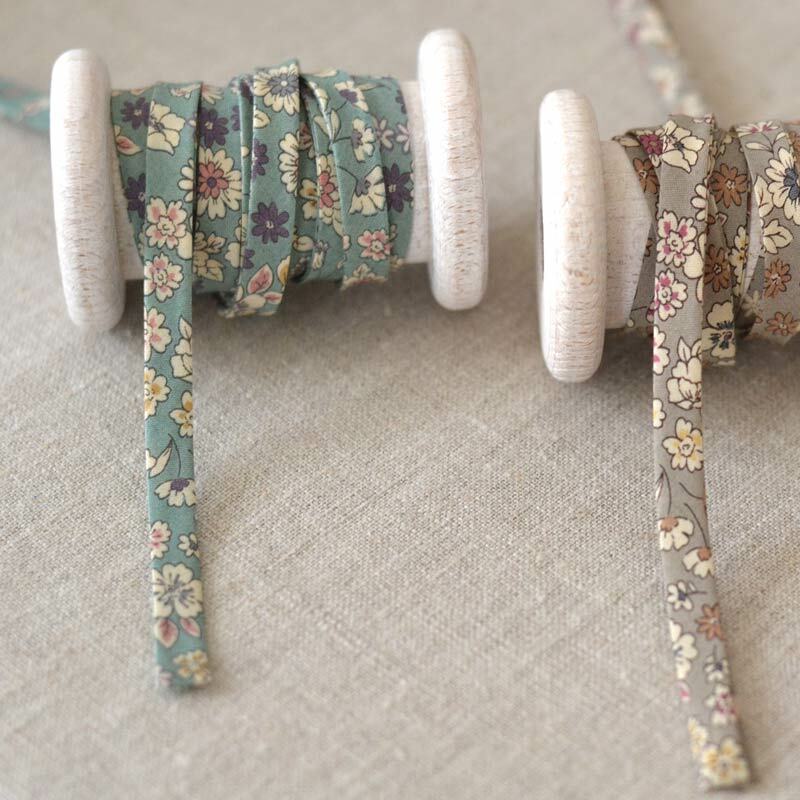 They are beautiful and flowered, it is the arrival in our shop of new fancy floral fabrics and bias. 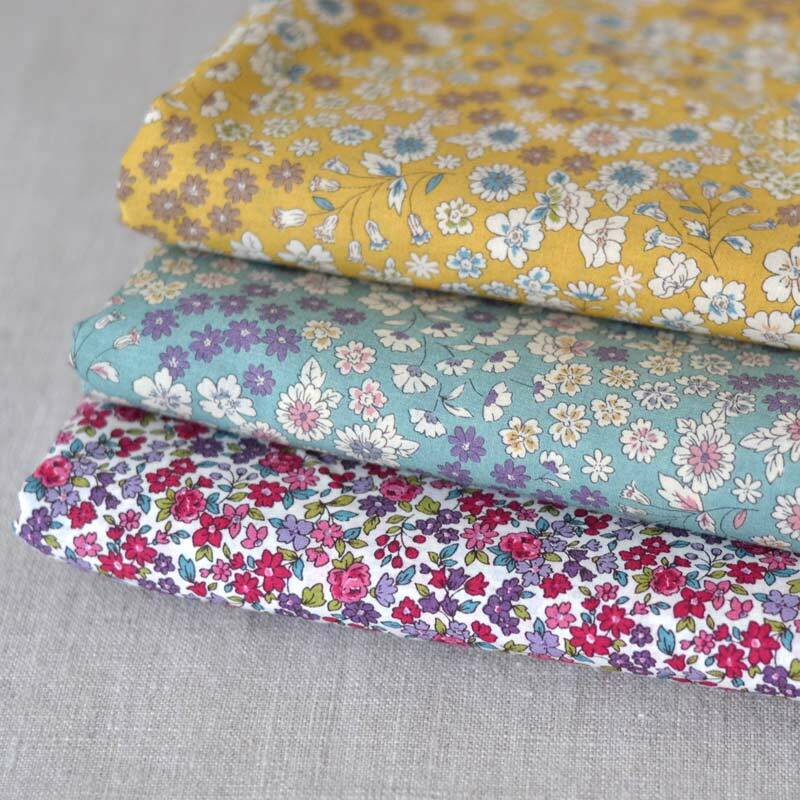 We fell in love with these flowered printed fabrics by Lecien (Japanese fabrics) in liberty style. So we took assorted bias! Flowered fabrics and bias brighten up our Frou Frou range. It is already easy to imagine the pretty dresses, inside pocket, jacket with these floral fabrics. 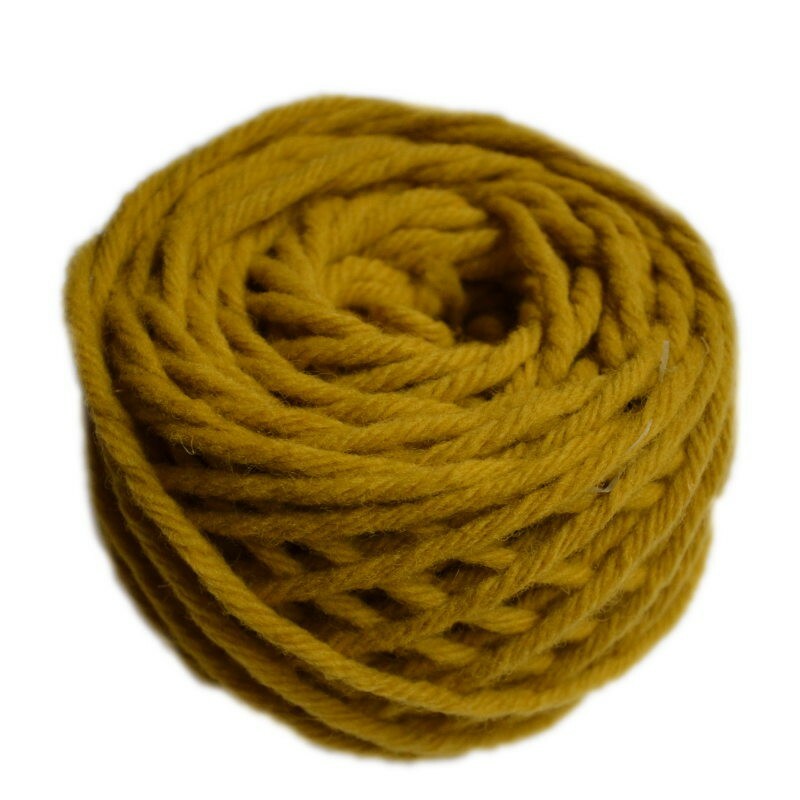 Mustard yellow make a pretty note accompanied the fall, while the raspberry and blue-green are perfect to brighten up our outfits. Floral bias can be used in garment finishes but will also be very attractive as wristband and other jewelery desgns. No hesitation! 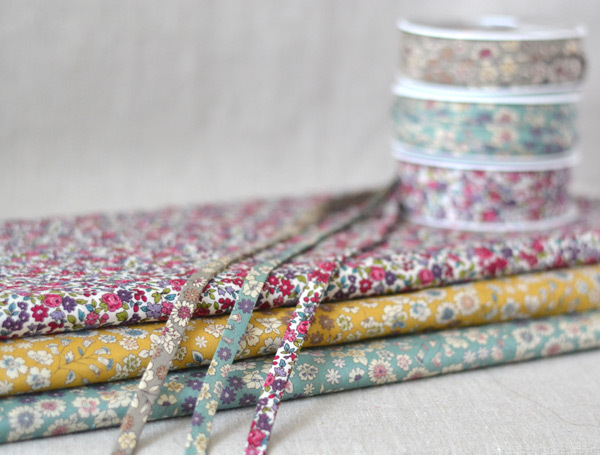 : floral Lecien fabrics are sold by 10 cm and bias the meter. 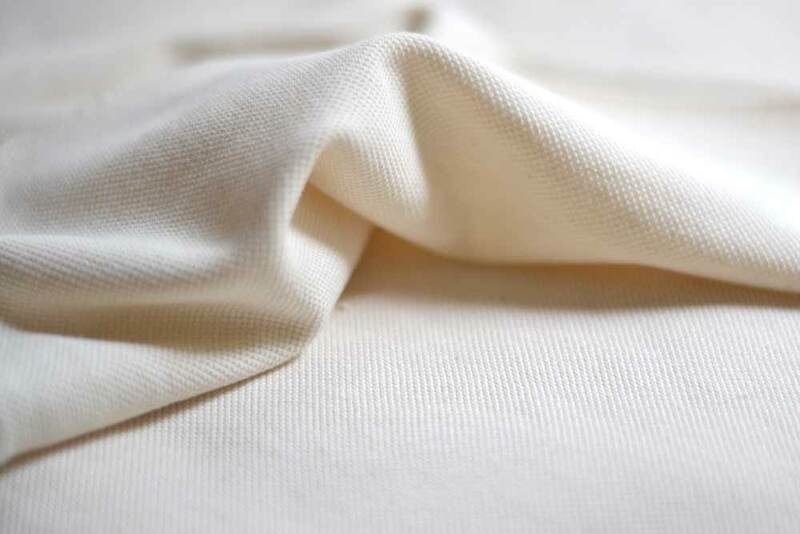 Then, we present the organic linen jersey natural, undyed and unbleached. This jersey is very soft, silky and slightly transparent. 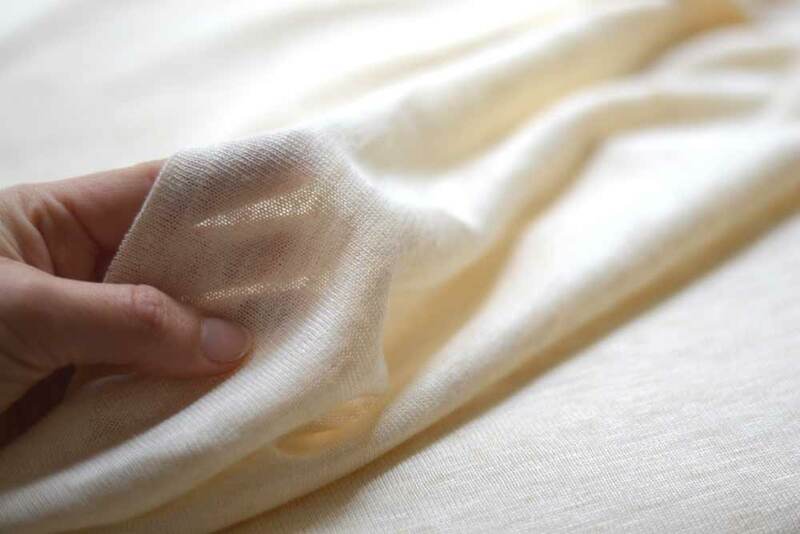 The flax used for this jersey is grown in France in Normandy and also knitted in France, making it a very local jersey! So, did you enjoy this arrival? 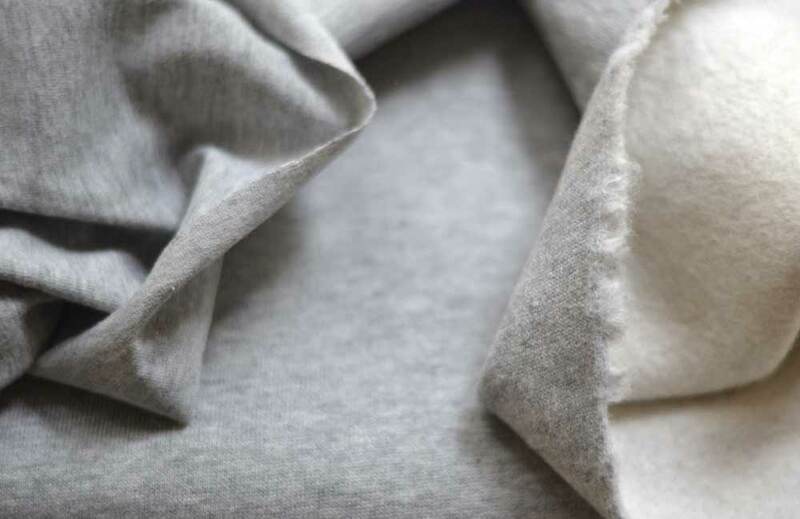 If you have fabrics yens, don't forget that you can order a 10 cm sample of all our fabrics (not discounted items), you will automatically receive a voucher for your future same fabric order. 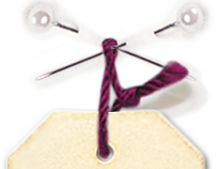 In order to offer you more creative elements, we present our latest knitting and sewing kits. After the Victoire cardigan and the sleeveless vest Elie as knitting, Here are three new knitting kits: the Triade mittens for adult, the Jonas coat for baby and the last born: the Ariel jumpsuit for baby. 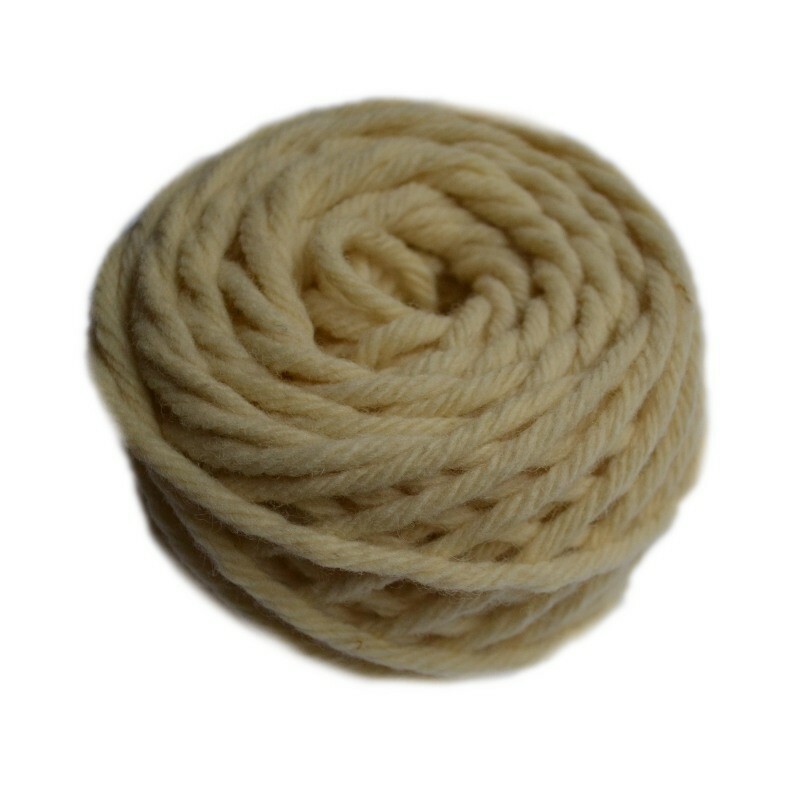 Provided in the knitting kits: explanations of the model and the wool quantity corresponding to the size you wish, you can add optional knitting needles, special wool sewing needles and buttons or any accessories. 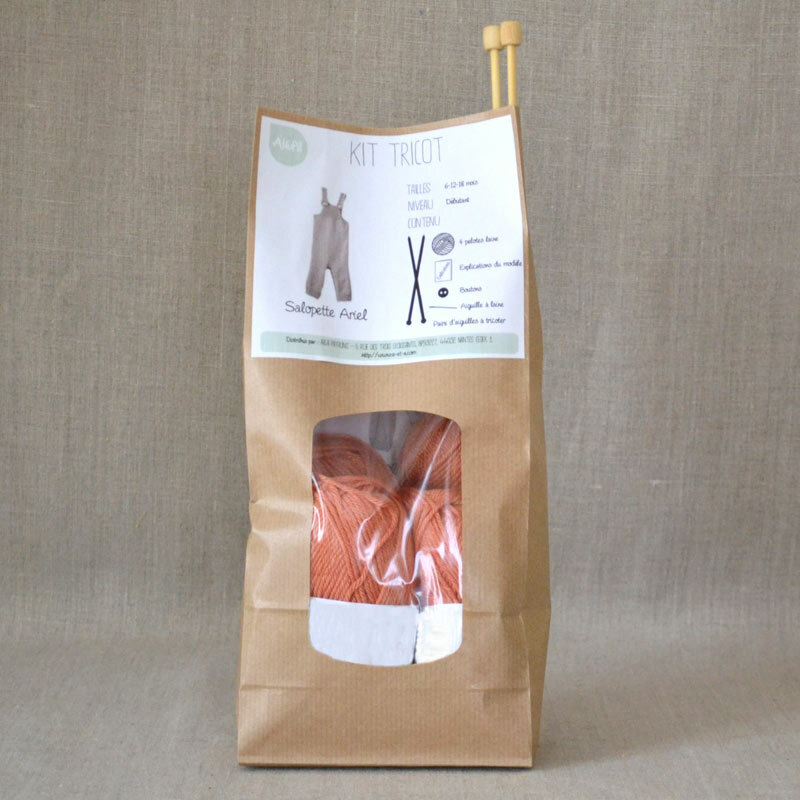 Our knitting kits are carefully designed, including a prototype creation, to help you to achieve the model you crave. The models are very suitable for beginners, we realize explanatory videos (link on the model) to provide additional support to the model for each step. 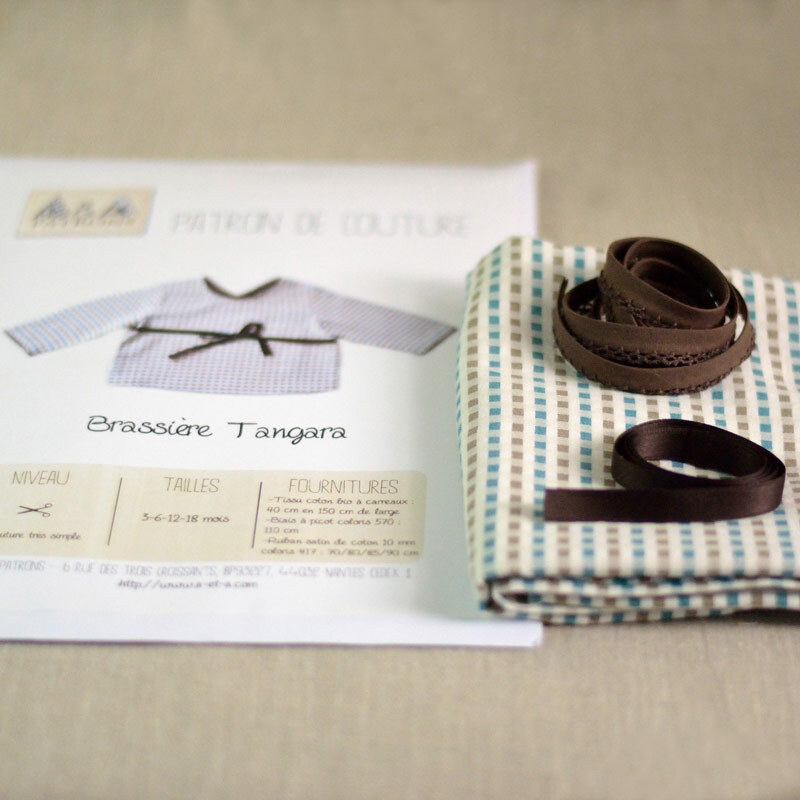 On the sewing side, the little Tangara baby's vest is also available as kit! If you have ideas in order to continue the kit saga ... do not hesitate to leave us a comment or message. 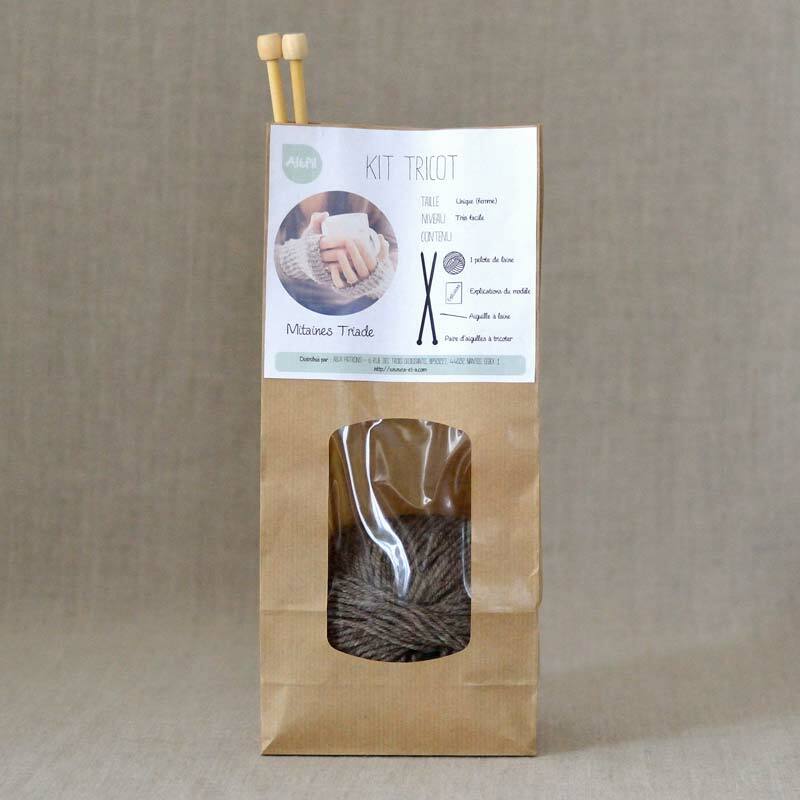 And you, rather tempted by knitting or sewing kits? 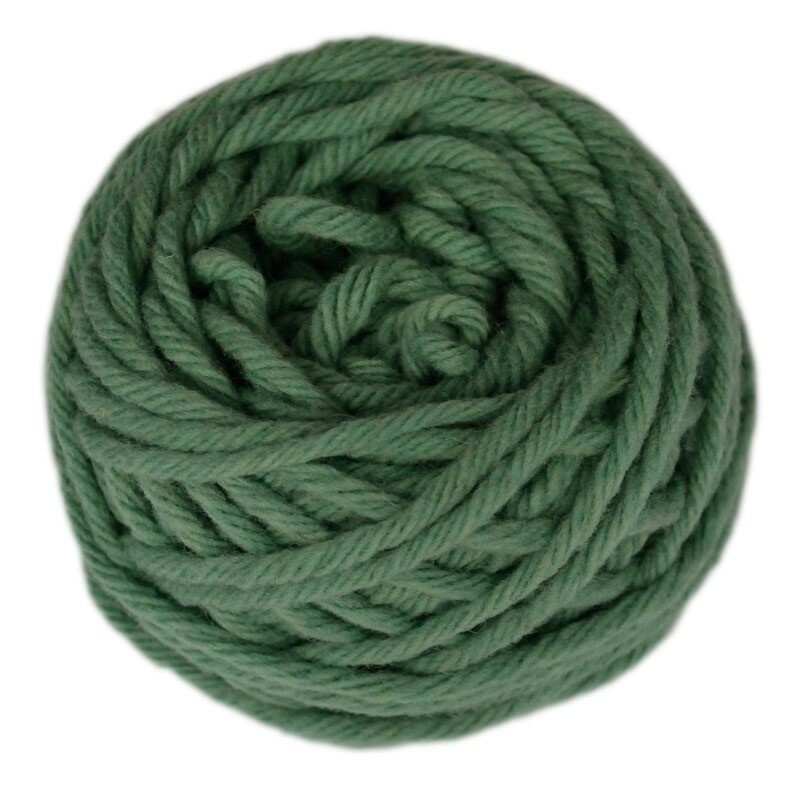 We welcome a new thread in the topic knitting, and it's XXL!